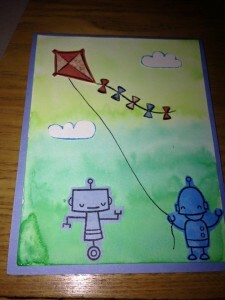 Extra Details: I water colored the balloons and robot. 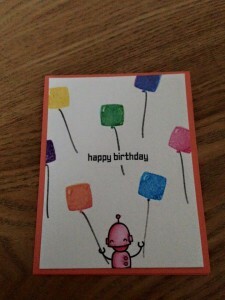 I used second generation stamping on the balloon strings. I put the water color panel on an orange card base. 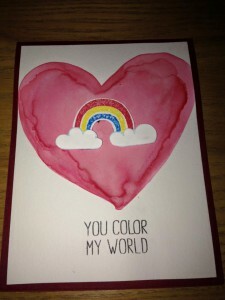 I was having fun playing with water color again in this card. The Summertime Charm stamp set was also new to me, so I was having fun with that as well. 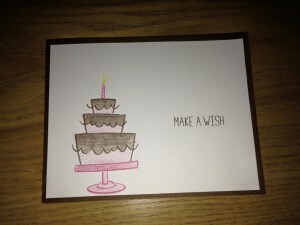 Extra Details: I used masking, water color and tone on tone stamping to complete this card. I wanted to try some ink blending for this card. 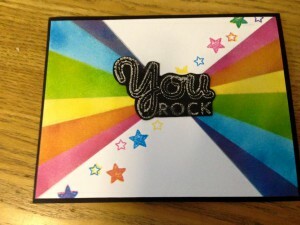 Extra Details: I used some Memento Dew Drop inks to create the stripes on this card. I started by masking off each area and using a finger dauber to blend the ink on the paper. I only used three ink colors and created the other three colors by blending two inks together. After all the stripes were finished, I added the stars. I double stamped some of them to get the secondary colors. 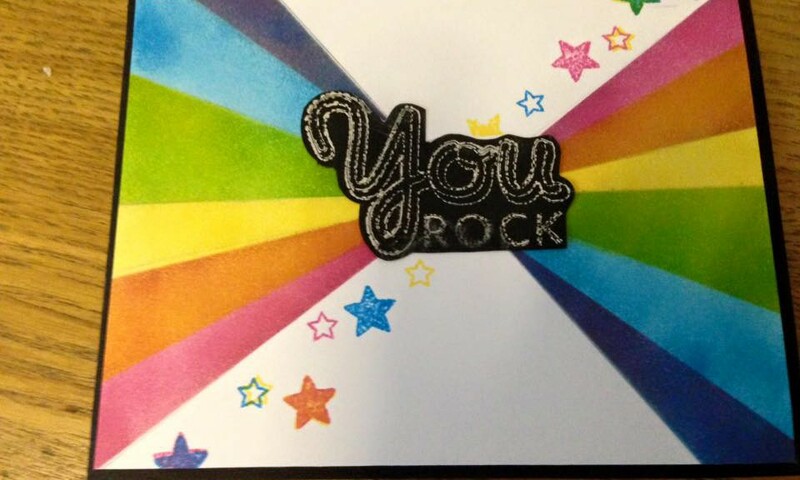 I stamped sentiment on black paper with metallic ink and fussy cut it out. I adhered the panel to a black card base and was done. One of my daughter’s friends fell and needed stitches. 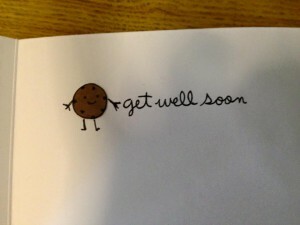 We sent her this card and some cookies as a get well gift. 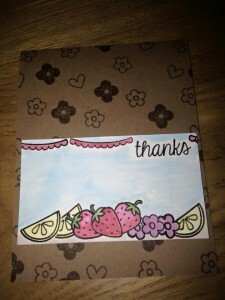 Extra Details: I started by stamping the bitten cookie on some brown patterned paper and fussy cutting him out. I adhered him to the lower right corner of my card base. I used a thin black Sharpie to draw the arm and legs. I spelled out my custom sentiment and stamped that. 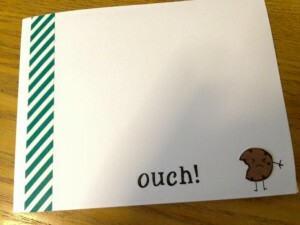 Lastly, I added some washi tape the left edge to help balance the card. We went camping with some family friends on their land. 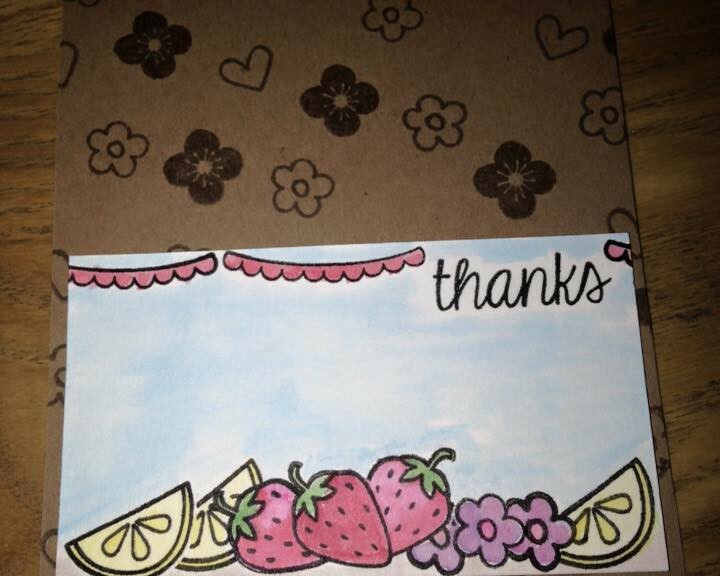 My kiddos had a great time and wanted to send a thank you card. I could think of no better images than of fire flies and the night sky. Extra Details: I started with a panel of white water color paper. I ink blended a number of colors on to make a dark night sky. 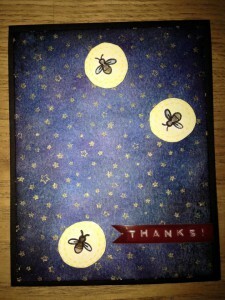 I stamped the stars in a gold pigment ink. 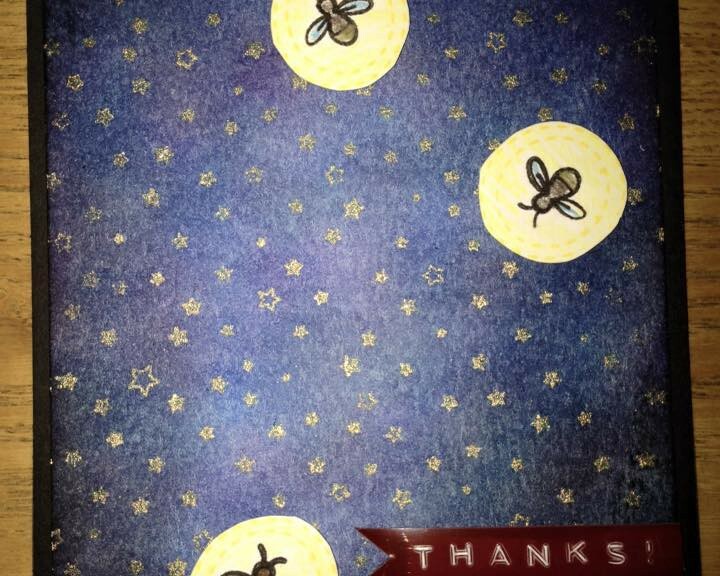 I stamped the fire flies and their glows on a different piece of card stock. After coloring them, I fussy cut them out. I created the sentiment with my Dynamo label maker. I put the whole panel on a black card base. 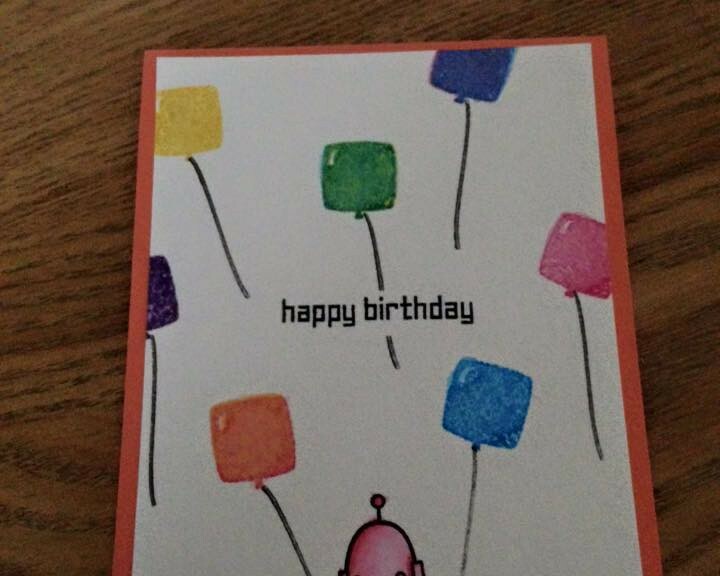 My son had a lot to say while designing this card. I also was playing with water color at this point. 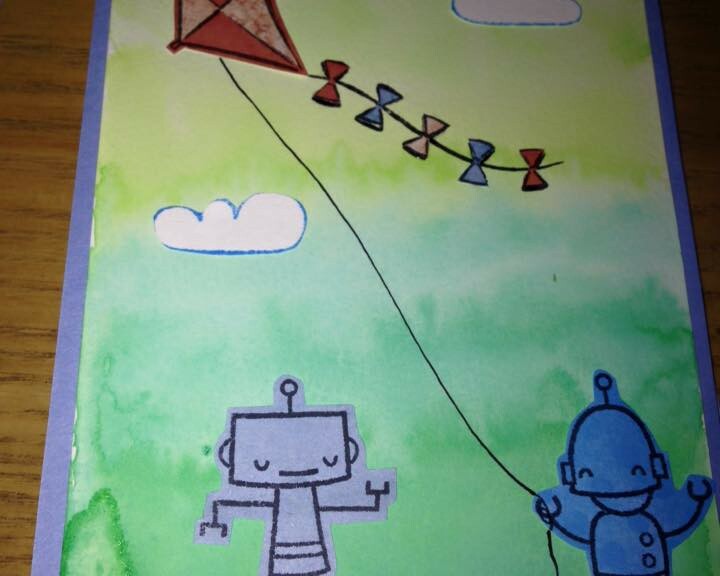 Extra Details: I started by water coloring the background for this card. 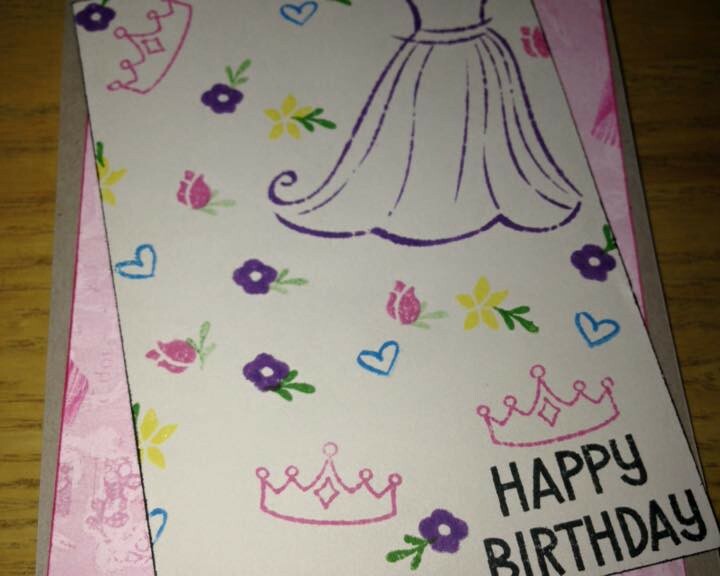 I paper pieced all the images that went on the card. I added a light blue card base. 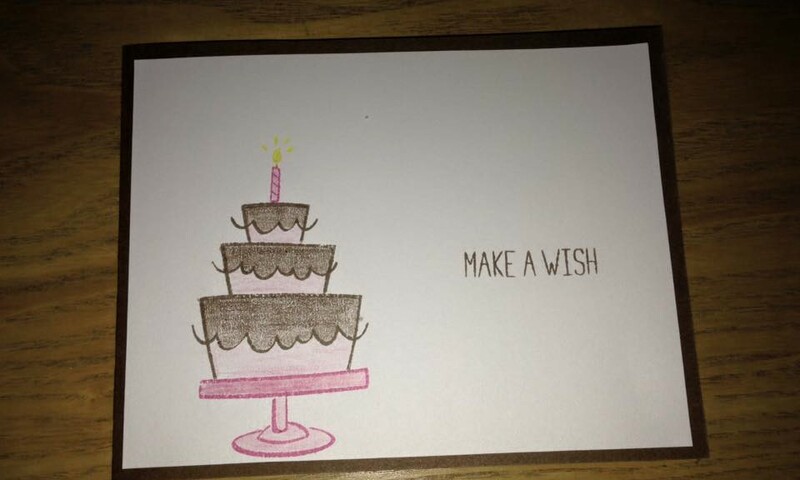 This card features more water color. I went through a phase where I did a lot of that. Extra Details: I started with a panel of water color paper. 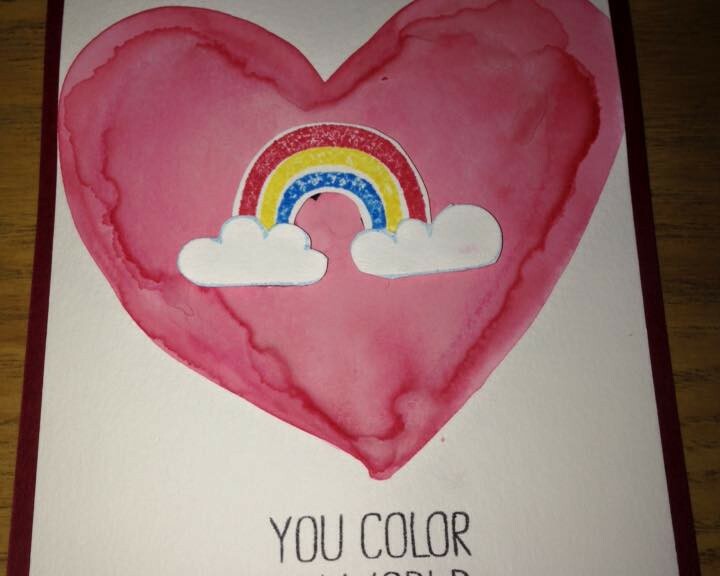 I free handed a heart with water color paint on it. I let it dry and added another layer of color. 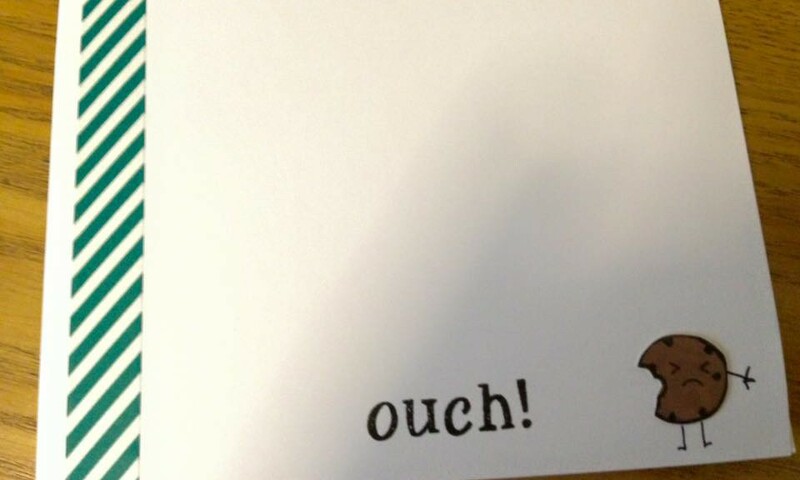 I stamped the images on a different piece of paper and fussy cut them out. I adhered them in the middle of the heart. Then I stamped the sentiment. Lastly, I adhered the panel to a dark red card base. 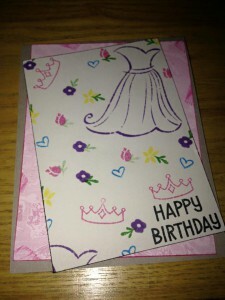 A sweet girly birthday card for a sweet little girl. Extra Details: I edge all of the panels with ink for added interest. 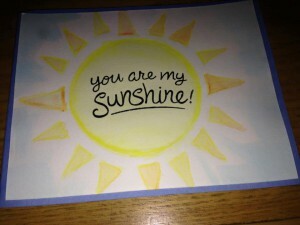 Extra Details: I free handed a sun with water color paints. I layered in some blue on the background. 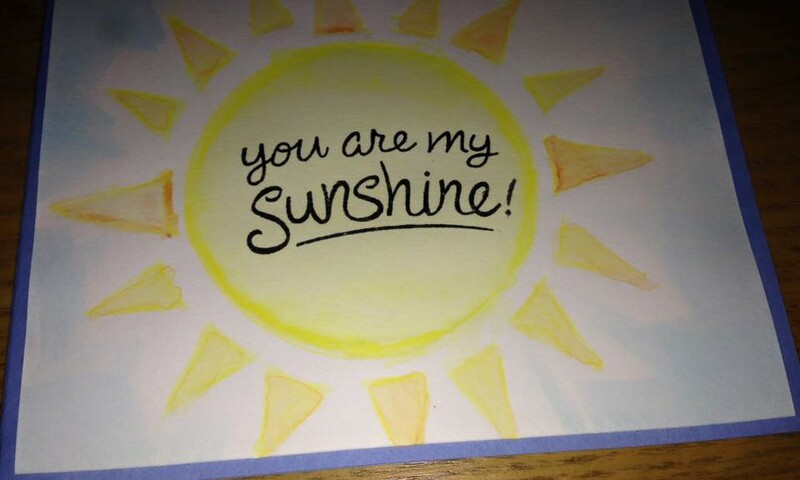 I stamped my sentiment right in the middle of the sun. I adhered the water color panel to a blue card base. Extra Details: I stamped in colored inks on a white panel and adhered it to a brown card base. I colored everything with colored pencils.